Your Elderly Loved One Won't Let Senior Care Providers In? You finally took the step of hiring senior care providers for your loved one, but she’s not having that at all. Now what can you do? Senior Care Deerfield Beach FL – What Can You Do if Your Elderly Loved One Won’t Let Senior Care Providers In? It’s tempting to simply set up time with your loved one’s new senior care providers and then make it happen, no matter what. The problem is that your elderly loved one can see that as a situation that she needs to rally against and it can make the problem even bigger. If your loved one is actively against having home care providers with her, you may need to try other steps first. One way to do that is to start out slowly and with simple, small tasks at first. You might invite in-home senior care providers in to do a few household chores while you’re home, for example. This can help your loved one to get used to the idea of other people even being at the house and helping out. You might also want to focus these initial tasks on things that the senior care provider can do specifically for you, not necessarily directly for your loved one just yet. Your loved one may want to share with you exactly why she’s not okay with this idea and that’s a good thing. Make it a point to listen carefully to what her objections are and see if you can determine what the underlying causes of those objections might be. Your loved one might be afraid to be vulnerable in front of someone that she doesn’t know, for example. This can be extremely difficult, but it’s important to try to understand what your loved one’s objections really mean. Ultimately, you may simply need to give the situation time and come back to it at a later date. Periodically bring the idea up again and try again. You may find that after your loved one thinks about the situation for a little while, she’s much more amenable to the idea. Keep talking to your loved one and let her know that you love her and that you can use the extra help. If you or an aging loved one are considering home health care in Coral Springs, FL to provide companionship, compassion and motivation, please contact the caring staff at Responsive Home Care. 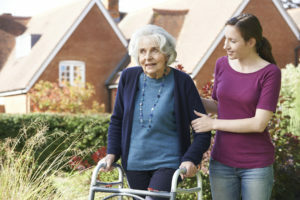 Call today 954-486-6440.
https://www.responsive-homecare.com/wp-content/uploads/2017/04/bigstock-Daughter-Helping-Senior-Mother-104666648-e1491335719817.jpg 200 300 Debbie Savage, RN, BSN, President https://www.responsive-homecare.com/wp-content/uploads/2019/03/rhc-logo.png Debbie Savage, RN, BSN, President2017-04-04 15:57:432019-03-20 09:52:43What Can You Do if Your Elderly Loved One Won't Let Elder Care Providers In?